It is not necessary to achieve your Associate Professional membership prior to the full Professional certification. The Associate Professional course is offered as an option to make it more convenient to progress in the industry at your own pace. The Associate Professional course is NOW offered as a home study option. Participants must successfully complete a written rules test and teaching test. All material is taught in detail through video presentation is designed so that you are made to feel comfortable with the testing. An Associate Professional Certified Member is also one who has successfully completed the four-day certification course or the home study in its entirety and has not completed the playing ability test. Teaching Test – This is based on detection and correction of swing errors. It will be taught to you during the course so that you feel comfortable in this scenario. It is not necessary to achieve your Associate Professional membership prior to the Certified Professional certification. Associate Professional courses are offered as an option to make it more convenient to progress in the industry at your own pace. Fully certified members enjoy all the rights and privileges of CGTF membership including participation in the Canadian Golf Teachers Cup and the World Golf Teachers Cup. A Certified Professional Member is one who has successfully completed the 5-day certification course and has met all CGTF criteria in the playing, written and teaching aspects of the organization. Rate includes: Daily green & cart usage, daily range balls, all course materials, instruction, a banquet dinner and all taxes. Master Teaching Professional members may become CGTF Examiners. Designed to develop experienced, career-oriented teaching professionals. This card reflects the highest level of certification in the golf teaching industry. To attend the Master Teaching Professional Course, one must be a fully certified professional member in good standing for a minimum of one year. Attend the Master Teaching Professional three day certification course. Candidates must give a presentation on a written thesis that lasts approximately 15 minutes. The thesis presentation must include information that is above and beyond what was taught in the full certification course. The material should either be original, unique or well-researched. Shot Making Demonstration Onsite demonstration of various golf shots. 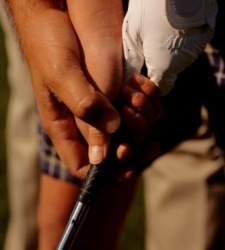 Participants must be able to perform the following: hit a fade, draw, low shot, high shot, chip shot, pitch shot, etc. Please contact our office at 1-866-362-2483 if you would like to be put on the wait list to attend a 2016 Master Teaching Professional certification course. Rates include: Daily green & cart usage, daily range balls, all course materials, instruction, a banquet dinner and all taxes. April 10th to 12th, 2019 – Newlands Golf & Country Club, Langley, B.C. It is not necessary to achieve Associate Professional status prior to Full Certification. Please purchase the course of your choice, so we can begin processing your Certification Registration. You may also download and complete our APPLICATION FORM. Q: Is it necessary to attend the Associate Professional course prior to attaining full certification? A: No, you may elect to bypass the Associate Professional course and attend the five day full certification. Q: If I elect to take the Level I course and am successful, how do I proceed to Associate Professional or full Professional certification? A: You may simply attend any certification course across the country. Verbal teaching, written rules and for full certification, the playing ability test requirements must be successfully achieved. 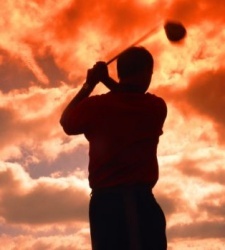 Q: What if I do not pass the playing ability portion of the course? Can I still gain certification? A1: Provided you have passed the written and teaching aspects of the course and you are within four strokes of the target score, you may, within a 12-month period, submit four attested score cards with the appropriate target score on any championship course (6,000+ yards). These cards must be attested by the three individuals you play with. The fee for this is $35. Prior to submitting the appropriate scores, your membership status is that of an Associate Member. A2: If your playing ability test score is more than four strokes over the target score, then you must return to any certification site and redo the playing ability test. The fee for this is $200, which includes green and cart fees and the closing banquet dinner. Until you redo the playing ability test your status is that of an Associate Member. Q: What is the required score to pass the PAT?